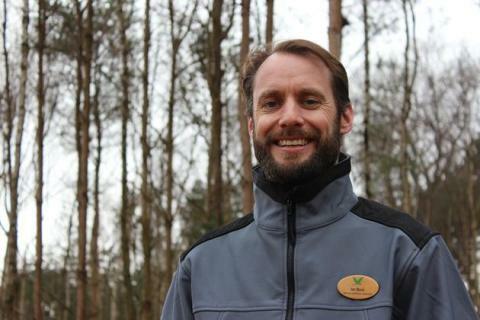 Local landscaper, Ian Buck from Bedfordshire has been announced as the Ground Services Manager for Center Parcs Woburn Forest. 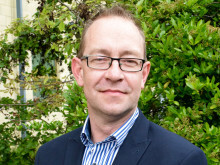 Ian was born and grew up in Bedford and went to school at Goldington Lower and Middle Schools then Mark Rutherford Upper School. During his studies in horticulture at Writtle College in Chelmsford Ian did an industrial placement for 14 months at Cambridge City Council working as an Assistant Horticultural Officer. After graduating, Ian joined a major commercial landscape and grounds maintenance company in which he worked his way from being a graduate trainee to a Contracts Manager (a role he continued with two further companies). Ian loves the outdoors and it’s a good job with 365 acres of forest to now look after at Woburn Forest. Ian enjoys outdoors sports including snowboarding, cycling and walking in the countryside in Bedfordshire with his wife. Ian Buck is responsible for the recording and monitoring of all species on site as well as protecting the wildlife within the forest. Like the other Center Parcs locations, when Woburn Forest opens, there will be a team of conservation rangers as part of the Ground Services team, committed to caring for the forest as well as providing nature walks and activities to educate short break guests about the forest environment. Center Parcs is the UK’s leading short break operator, each year more than 1.6 million guests stay at our existing four villages each set in 400 acres of forest. 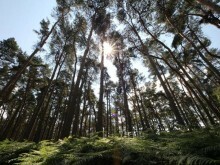 Spring 2014 sees the opening fifth village, Center Parcs Woburn Forest, the closest village to London and the South East. Reflecting the values of our guests, protection and enhancement of the local environment are at the heart of our ethos. We were the first UK organisation to be awarded The Wildlife Trust’s Biodiversity Benchmark and Center Parcs Woburn Forest will be our most sustainable village to date. The development of our new village will nurture 365 acres of ecologically poor woodland into a biodiverse forest that will encourage local wildlife to flourish. 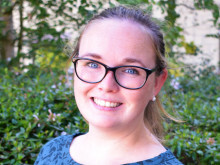 The announcement of the appointment of Ian Buck, Ground Services Manager follows the announcement of the appointment of Wayne Matton, Woburn Forest General Manager in December 2012. 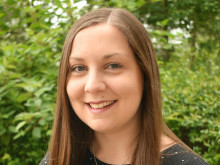 For media interviews, please contact Center Parcs PR Department on 01623 821 723. We are Center Parcs, the UK’s leading short break operator. Each year more than 1.6 million guests stay at our four Villages, each set in 400 acres of forest, and it’s not just the guests we look after, we also protect and nurture the forests and all the nature within. 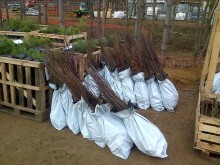 On the 19th March and 20th March, a delivery of 20,000 trees arrived at the new Center Parcs; Woburn Forest in Bedfordshire. The planting of the trees will be overseen by the new Ground Services Manager; Ian Buck from Goldington, Bedford and will help improve the biodiversity of the forest.